For Kansas City-based roofer and remodeler Orin Jackson, the past 18 months have seen a lot of hard work done and progress made on his property near Green City. Some folks have their hobby farms and others want to build a new house out in the country, but Orin had a different dream in mind when he started building. 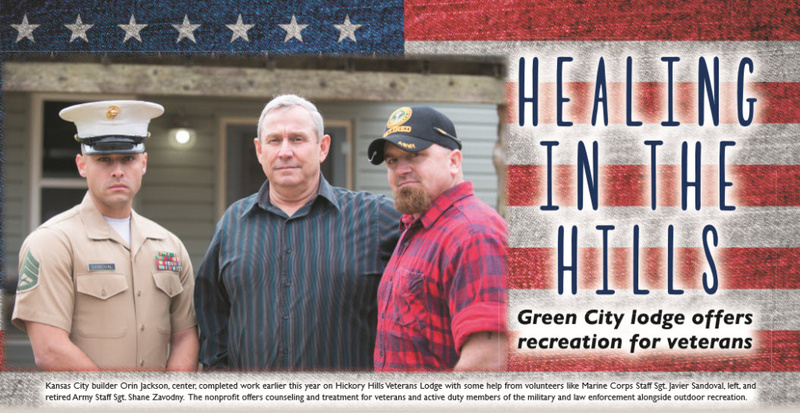 Inside the 1,200 square feet that is Hickory Hills Veterans Lodge, there’s a big purpose at work. © 2019 Hickory Hills Veterans Lodge. All Rights Reserved.